Naruto Gaiden - Nanadaime Hokage to Akairo no Hanatsuzuki (Naruto Spinoff - The Seventh Hokage and the Scarlet Spring Month) is a spin-off sequel mini-series of the Naruto and part of the grand master plan of Masashi Kishimoto's "Naruto Shin Jidai Kaimaku Project" (Naruto's New Era Opening Project). 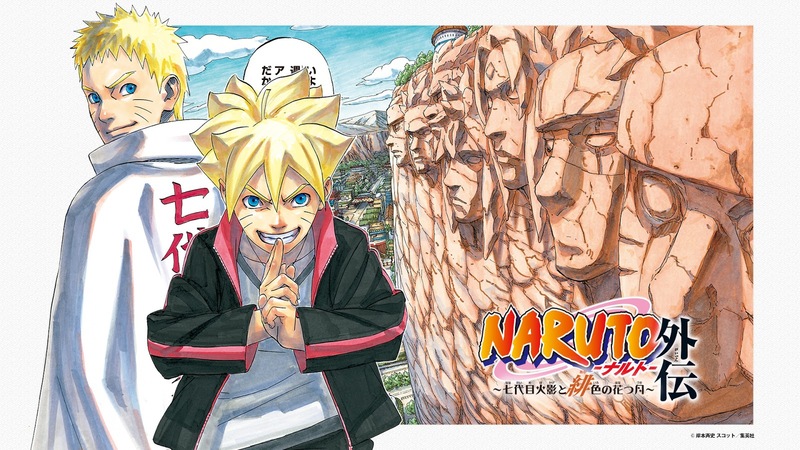 The mini-series stars the next generation of young ninja, including Boruto Uzumaki, who is the son of Naruto Uzumaki, the Seventh Hokage of the Hidden Leaf Village. Naruto Gaiden - Nanadaime Hokage to Akairo no Hanatsuzuki (NARUTO：The Seventh Hokage and the Scarlet Spring) began in issue 22/23 of Weekly Shonen Jump by creator Masashi Kishimoto. Although Boruto, Naruto's son is feature in this side story, the main focus of this miniseries is Sasuke's daughter, Sarada. The story follows Sarada and her attempts to find her father who has discovered a new and potentially dangerous enemy, that threatens the world peace that Naruto and the others have created.